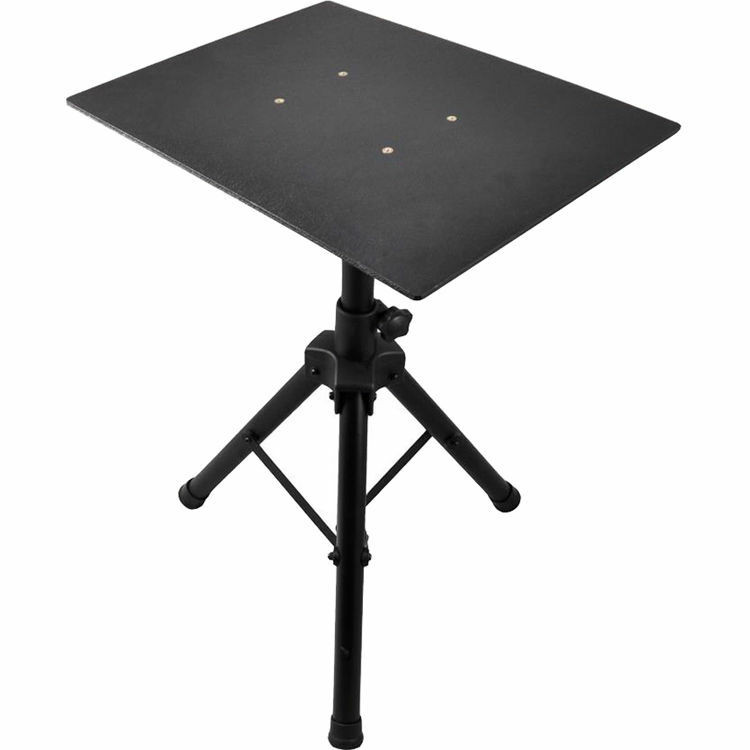 Adjustable Height: 29 to 52"
ABS Plastic Device Tray: 20 x 16"
Height Adjustment: 29 to 52"
22 to 35" 28 to 50" 29 to 52"
The Pyle Pro PLPTS4 Universal Laptop Device Stand utilizes a height adjustable tripod mount to safely elevate laptops, notebooks, mixers, and other electronic equipment to a comfortable height. Designed for use on-stage or in the studio, the stand's height adjusts from from 29 to 52", while the device tray's angle can be tweaked for optimum comfort while performing. Constructed from durable ABS plastic and steel, the PLPTS4 is capable of withstanding the rigors of on-the-road wear and tear. Box Dimensions (LxWxH) 29.0 x 17.0 x 15.0"